Orders placed after Dec 14 cannot be guaranteed for Christmas delivery. 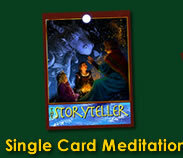 Centuries or perhaps millennia ago, began the art of the Tarot. 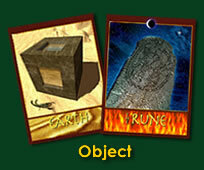 While Archetypes™ is not a Tarot deck, it can still be used as an effective divination tool. First of all, simple "yes-or-no" questions are meaningless to this form of divination. Remember, you are responsible for your own fate; the cards merely point to a direction that things may go. 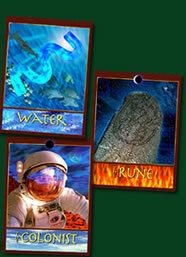 No matter what a reading may say, the future is fluid and open to interpretation; use the cards with this in mind. 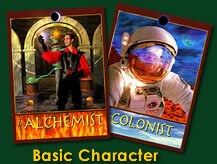 Use Archetypes™ storytelling cards to develop fascinating situations, random traits or even entire characters for your games and stories. Inspired by the Tarot, these lavishly illustrated cards embody universal concepts found in every person, object or situation you might encounter. Never settle for another cookie-cutter character again! 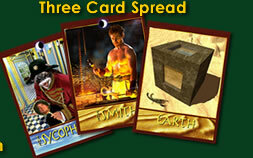 Simply deal a few cards to reveal whole new paths and motivations for your games and tales.